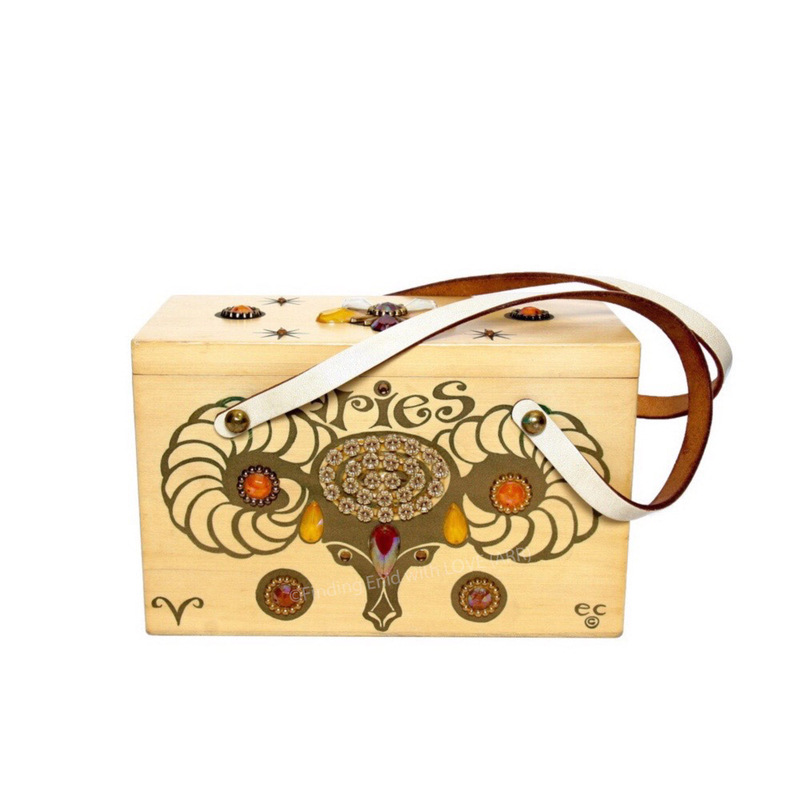 Zodiac series Aries bejeweled box bag in gold. Metallic-gold screen print and bejeweled box bag depicting an abstract ram's head (reference to the astrological sign Aries) decorated with faux-gem flowers and stones in amber, orange, and other warm tones. Top is decorated with jewel flowers, gold rings and stars. Astrological symbol for Aries appears on lower left of front. Top-opening box bag. Two handles. One series of several called "Zodiac."